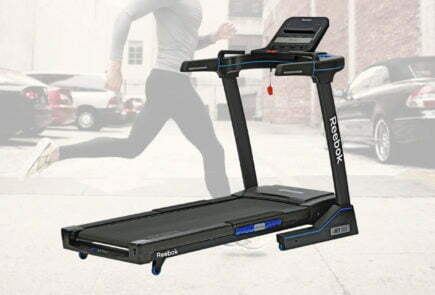 I was lucky enough to pick up the Reebok GT40s at half price from my local fitness supplier. This can sometimes be higher than the price you would find from a national store or online but I still thought it was a good deal. 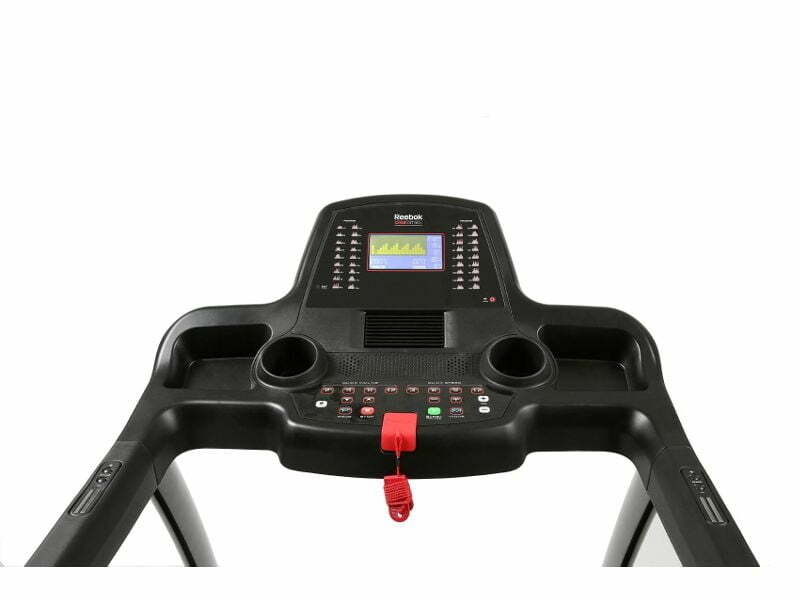 As this is a gym quality machine it is therefore not lightweight and so two people are needed to carry out the delivery and especially the placement of the machine. The machine weighs in at 75kgs and the delivery drivers were good enough to place the machine in the actual area where it needed to be. Having decided where to place the treadmill it was relatively easy to put together in about 40 mins- top tip, tighten the screws only after placing them all where required. The manual is illustration only but further help is on-line if required. 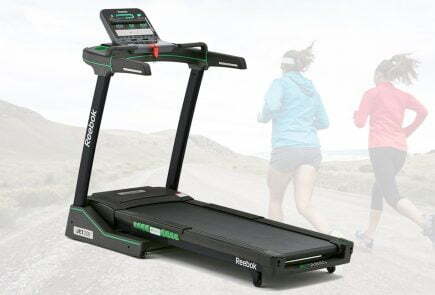 The large 7inch LED display is clear and easy to use and includes all the normal expected functions of time, speed, calories, distance and pulse. 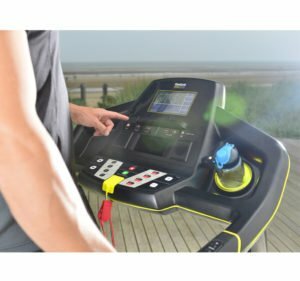 The treadmill is multi-speed with a choice of pre-set programmes or you can create your own manually for a custom-fit workout. The incline setting can also be adjusted to get that body really working and at the same time monitor your heart rate. The hand grip pulse sensors are comfortable to use and the incline can be manually controlled by the keypad buttons so if now and again you need that extra push to a new limit you are in control. 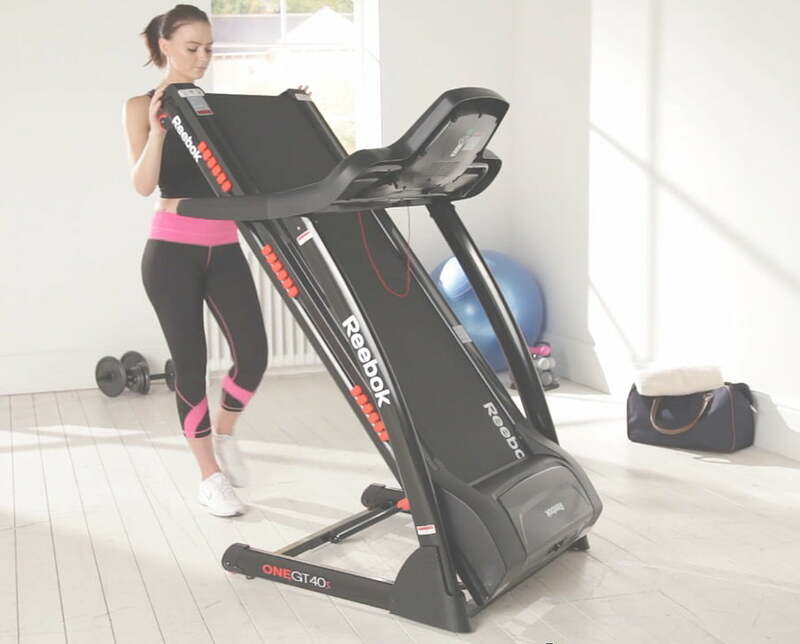 While you’re busy working that body there is integrated MP3 connectivity and speakers for you to hit the beat while your fitness hits new heights and a socket for your iPhone which is handy. A water bottle holder is at hand and storage for your smartphone or tablet. 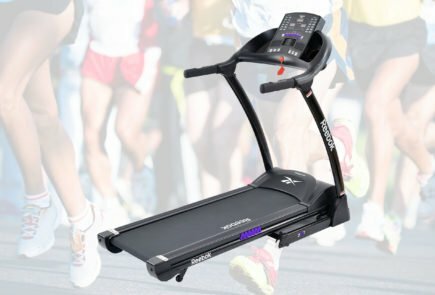 I have already mentioned it’s like running on air- the running area is 130CMS x 43CMS and the soft running deck helps to cushion the blow to your joints and you can build your speed to 9.9 mph. 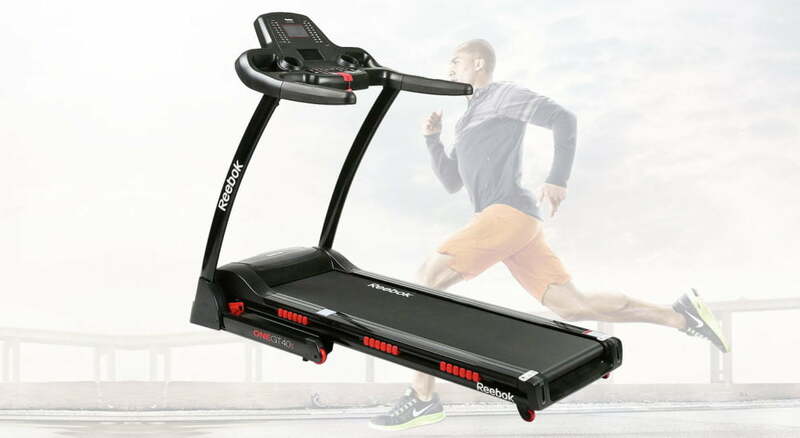 The reactive surface helps to absorb impact and helps propel your feet forward for a smooth running motion. 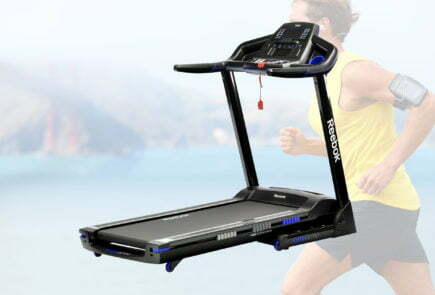 The machine has a digital drive 2hp motor for a good running mileage. 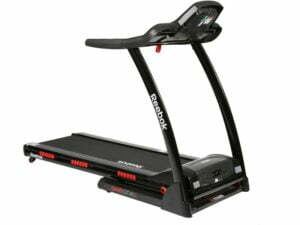 The noise is of a similar level to other Reebok treadmills including the GT30, all of which are to a good standard. 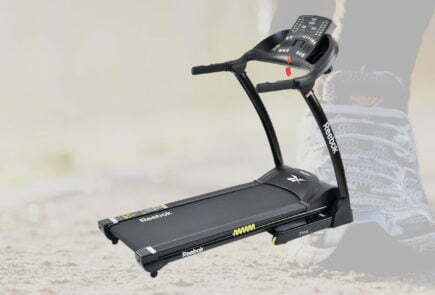 Home specific treadmills have certainly come a long way in the last 5 years with near silent operation when in use. The fantastic 40 workout programmes will ensure you won’t lose your motivation or your drive which will help you to reach your goals!! I can only admit to having tried one or two but they give you a nice boost as you work your way up to some more of the high intensity settings. With the GT40s a handy program guide is located next to the LCD display giving you a good idea of what to expect from each one. The treadmill has a soft drop folding function to save space whilst not in use for your safety and has transportation wheels for manoeuvrability. Maximum user weight 110 kgs or 17st 5lb. 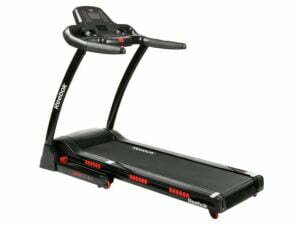 One of the downsides of the GT40s is that if the treadmill is not on offer then it is classed as a high budget treadmill. When compared to other similar machines it may not be so much of a good deal so make sure you shop around or read our best buys of the month. 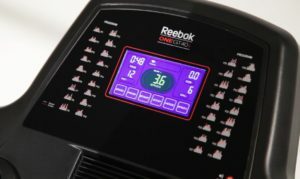 How does the Reebok GT40s Treadmill compare to the Reebok GT30? Firstly there is the obvious price difference, at the time of writing they were both on special offer and the GT30 was more than half the price of the GT40s. There is the major difference of the running surface between the two. 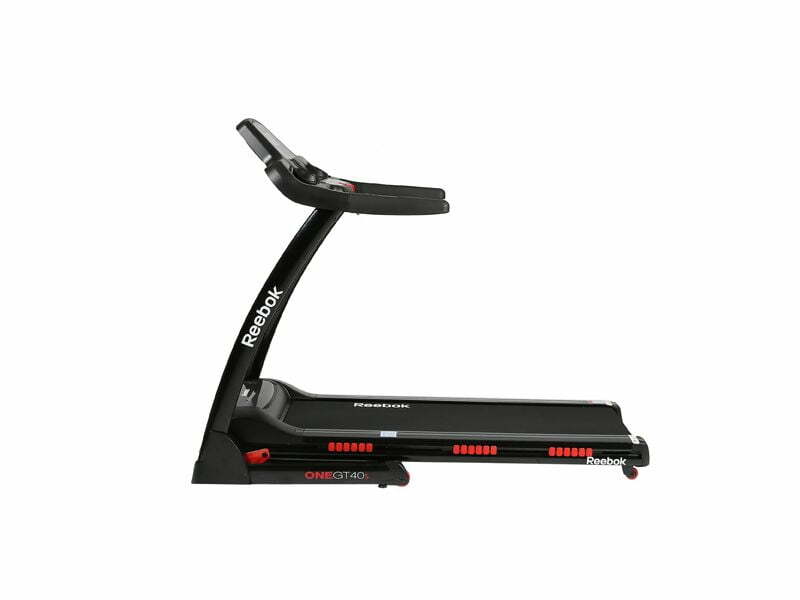 Gym users are used to a typically larger running track and although the GT30 is adequate, the GT40s boasts a much larger available surface. There are also some minor details including a slightly better cushion system to the GT40s (very subtle) and that the GT40s has two drinks bottle holders which the GT30 is lacking. 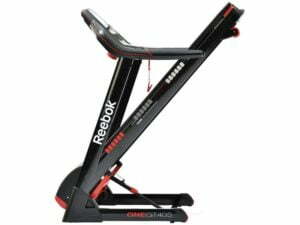 An excellent value for money machine compared with cheaper models as it has all the ‘bells and whistles’ for a dream workout. No need to leave your home for a workout or rack up costly gym bills and above all you work out when you want to not when opening times of the gym dictates which is a bonus. 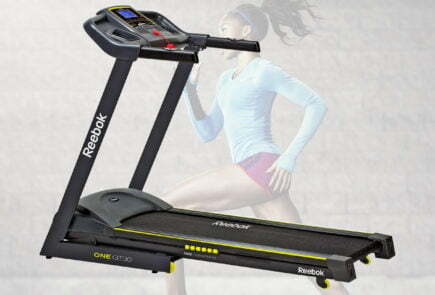 Reebok have produced once again a gym quality treadmill for a fraction of the price. But how does it compare to the Reebok GT30?